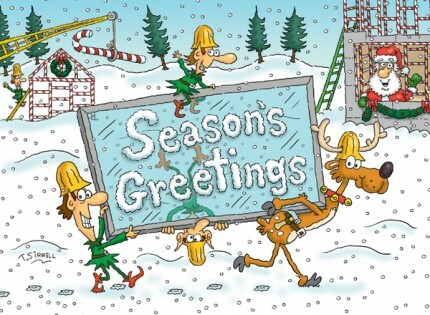 This design is sure to get a giggle, the elves and reindeer carry a sheet of glass across a snowy building site. Construction Humour is a humorous design which is finished with gloss. CN1235 is suitable for company, business, personal or corporate use. Your Christmas message is personalised on to a white insert.